Superdogs are on the way! | Separated by a common language. Superdogs are on the way! 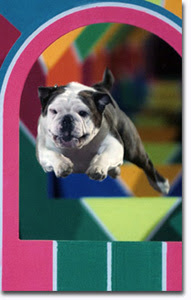 Stampede is coming, and we all know what that means…..SUPERDOGS! 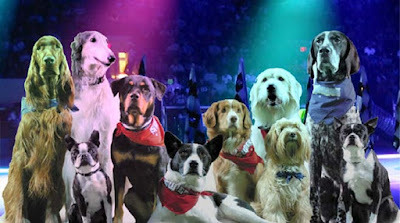 Okay, Stampede isn’t coming until July 5th, but I am seriously excited for my last Stampede viewing of the fantastic, sometimes disastrous Superdogs show. 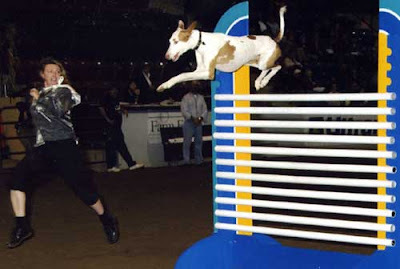 For those of you who haven’t seen Superdogs before, I say to you, “HOW CAN YOU SAY YOU HAVE LIVED?? !” This is something everyone should see at least once. Okay, okay, I know the show hasn’t really changed in the last 20 years or so, but my hope to be able to see a pug every year keeps bringing me back. Sadly, last year there were no superpugs, but I have high hopes for this year, since I have seen them perform. Sure, there’s the occasional fat bulldog that won’t do anything, and then there’s the extremely obedient labs, but it’s the pug that has always been dear to my heart. If I manage to get close enough to the action this year, I will make sure to take a video of the glorious doggy bonanza! We want to see more Pugs enter and win at shows, too! It’s always more exciting to go if there are other Puggies!